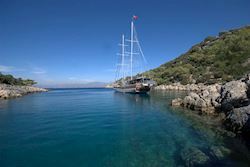 A multi-award-winning family-run specialist in expert-led cultural tours and gulet cruises, including private tours and gulet charters. 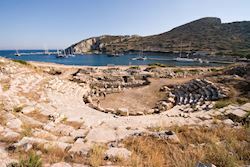 We offer archaeological tours, walking holidays, gastronomic tours and family tours for small groups (a maximum of 10-18 guests) in Croatia, Greece, Ireland, Italy, Turkey and the UK. 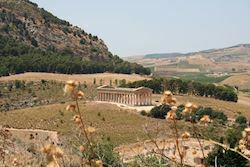 In 1994, archaeologist/documentary filmmaker, Peter Sommer, walked 2000 miles from Troy retracing the route of Alexander the Great. He fell in love with travelling and in 1995 began organising and leading a range of archaeological and cultural tours. 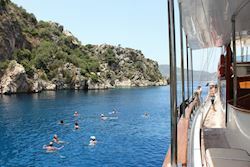 Accredited by ABTA and AITO our trips include gulet cruises, such as Cruising to the Cyclades, Cruising the Aeolian Islands and Cruising the Coast of Dalmatia combining relaxation, fabulous food and swimming with cultural adventures. We also offer land tours such as Exploring Crete, Exploring Sicily and Exploring Ireland. Alongside our scheduled tours we create bespoke private trips by land and sea, all led by expert guides. Discover the history on your doorstep this year, with Peter Sommer Travels’ first-ever Welsh tour: Exploring Wales: Millennia Under the Gaze of Mountains. Telling the unique story of south and west Wales, this six-day escorted itinerary explores some of the Principality’s finest historic sites set amidst stunning landscapes. Led by expert historian Paul Beston, explore what remains from the settlements of the Romans, Vikings, Normans - and the English! Visit Roman forts, medieval chapels and an array of fascinating castles, with highlights including Chepstow Castle, Tintern Abbey, Caerphilly Castle and the attractive remains of Bishop de Gower’s remarkable palace. Retire each evening to a comfortable hotel base to feast on delicious traditional dishes. Awarded by AITO (The Association of Independent Tour Operators), the UK’s most prestigious and leading organisation for specialist tour operators.